As you reach your 60's, you are at the point where your career is beginning to wind down. Retirement plans are becoming more concrete and your children are starting families of their own. 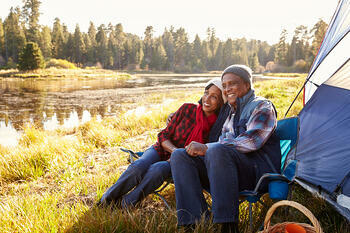 If you continue down the path of financial security, you'll be spending your golden years in style. Your social security benefits are based on your 35 highest paid years in the workforce. Every year that you delay claiming benefits, your payouts grow until age 70. Now is the time to start putting your plans into action. At this point, you'll have a pretty good idea of how much money you have saved for the next stage of your life. Start making a budget and begin living within these means. If you have any lingering debts, make it a priority to get those paid before retirement. Continue to work with an advisor to either review or create a plan for your assets and property. This includes trusts, liquid assets, giving, and your will. Include your family in your plans and leave detailed instructions if necessary. It's a difficult situation to face your own mortality, but it is absolutely necessary to make sure those you love are taken care of once you're gone. At this point in your life, you should be a pro when it comes to savings & investments. Nothing needs to be overhauled, just fine tuned when necessary. Start moving towards more conservative investments. If you haven't already, look into consolidating your retirement savings if you have multiple from different jobs. The IRS allows you to make one tax-free cash out rollover per year if the funds are put into another qualified retirement account within 60 days.